This "Swing Down Chariot" by the Gaithers and the Signature Sound Quartet will get you moving! Lord God, I pray that this day my conduct will be like that you have set for your clergy, above reproach. May I be this day temperate, sensible, respectable, hospitable, able to teach, not given to drunkenness, and not violent, but gentle. May I never be quarrelsome, always seeking peace even in disagreement, and may my love be for you and my fellow man, not for money. What are your choices? Whom are your choices for? Not just for yourself. Choose now whom you will serve, and that choice is going to affect the next generation, and the next generation, and the next. Choice never affects just one person alone. It goes on and on and the effect goes out into geography and history. You are part of history and your choices become part of history. He lived there two whole years at his own expense, and welcomed all who came to him, proclaiming the kingdom of God and teaching about the Lord Jesus Christ with all boldness and without hindrance. 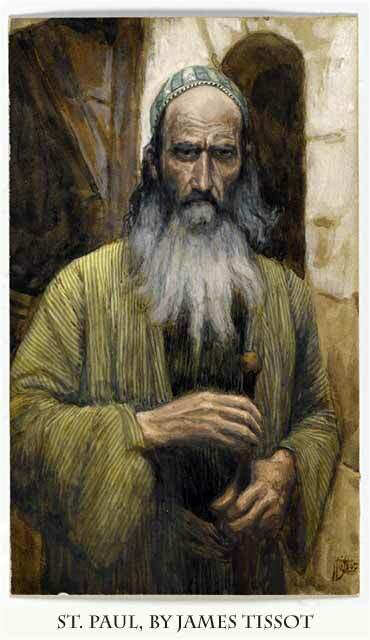 And so ends the Book of Acts, with Paul awaiting trial. There was no contemporary written account of what befell him thereafter, but the story that was passed along orally, and written down in the next century, was that Paul was tried and released. This would make sense. Paul was not accused of anything that would offend Rome, and his enemies did not have any political pull there. We also know that the people involved who did have political pull in Rome — Herod Agrippa II and Festus Porcius, the procurator (governor) of Judea — seemed favorably disposed towards him. 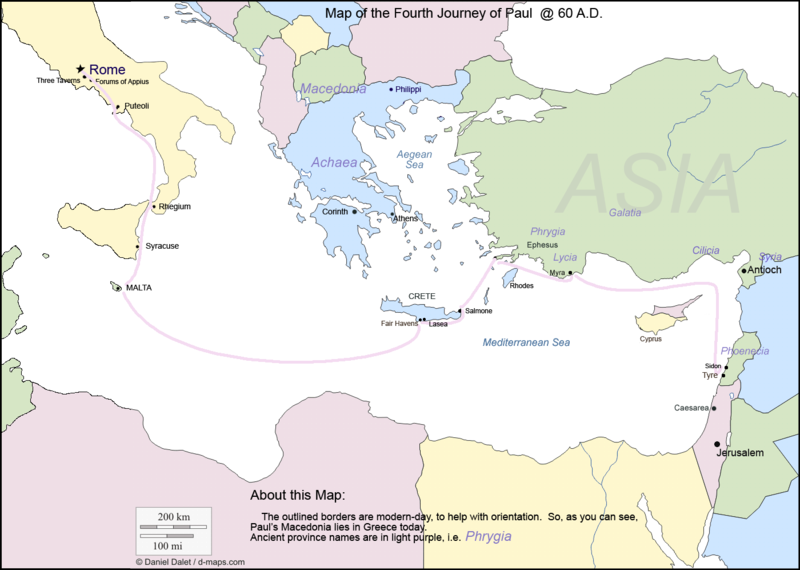 Paul then (according to the tradition) took a fifth missionary journey, traveling as far as Spain. This is also a credible story, because Spain was an enormously important part of the Roman Empire; travel to Spain by either ship or land was easy and safe. There were also early Christian churches in Spain. James (the Greater), the patron saint of Spain, is believed to have traveled to Spain in a very early mission, before he was martyred in Jerusalem (Acts 12:1-2). Philip the Apostle was also credited with a mission to Spain. In fact, numerous scholars believe that Paul's mission in Rome was part of a plan. While establishing a solid and active church in Rome was an end in itself, there was a secondary purpose behind it: creating an anchor to support the Spanish churches, which were isolated by the power and the plain geography of the Italian peninsula. The oral tradition tells us that after visiting Spain, Paul was arrested again, after Nero began wholesale persecution against Christians; he returned to Rome for trial and was beheaded there.